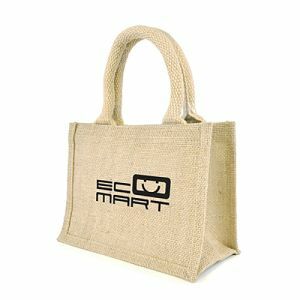 Printed Jute Bags are the perfect balance between practical, low-cost promotional merchandise and responsibility for the environment. With an ever-increasing awareness of our previously cavalier attitude toward the planet and the subsequent effects, it has become more important to be seen as an eco-friendly business. 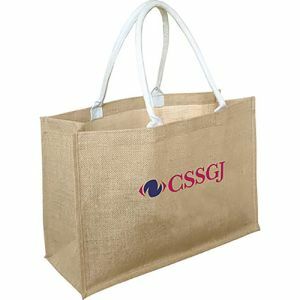 Corporate branded jute bags are certain to not only advertise your company logo or campaign message on the move, wherever you go, but showcase your brand’s ‘green’ credentials. We have various sizes available. 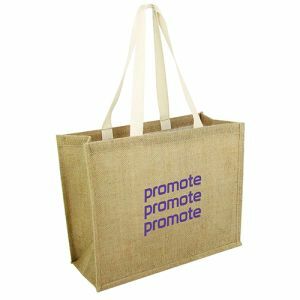 We even have promotional jute bags that can be printed via full colour for corporate designs with multiple colours and gradients, or even options dispatched in just 72 hours if you need something eco-friendly fast! Great Britain has been trading in jute since the seventeenth century, with uses in art, construction, fishing and even the military. Jute material is made from vegetable fibres spun into strong, coarse thread and woven to shape, also used to make burlap and hessian fabric. 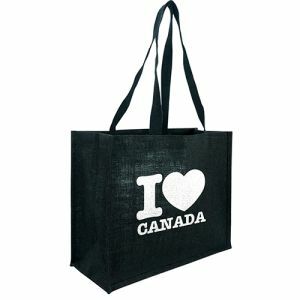 It is one of the most affordable natural fibres and so a natural choice for manufacturing low-cost branded giveaways. 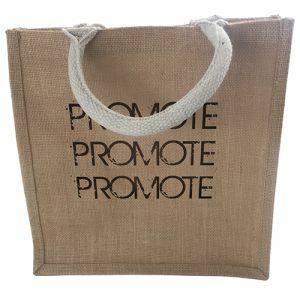 Available mostly in a natural colour that clearly showcases their environmentally friendly, natural properties, our promotional jute bags are available in different sizes from mini branded gift bags and Small Jute Bags up to large ‘bag for life’ style printed shopper bags. 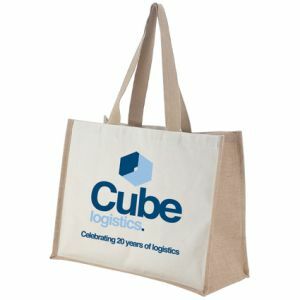 They are a perfect blank canvas that can be easily adapted to suit most campaigns, with designs offering long or short handles for you to choose from. 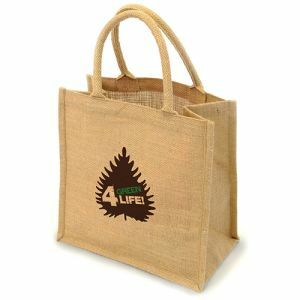 Our best-selling UK branded Jute Bag For Life is a perfect example of all the benefits of jute. 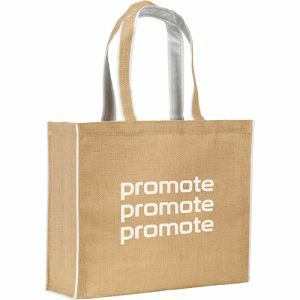 Made with 100% sustainable, renewable and biodegradable jute material complete with an internal and external laminated wipeable finish for increased practicality. All for under £2! 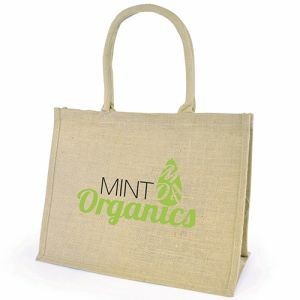 Perfect as a jute shopper bag or even an everyday tote bag for all your essentials. Some of our printed jute bags are even available in different colours. 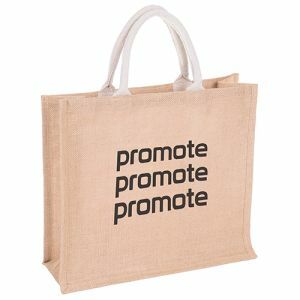 Perfect for marketing campaigns that need that extra impact or eye-catching finish without a great deal of extra cost. 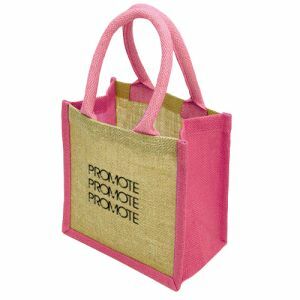 Our Brighton Bag For Life and Wells Jute Tiny Gift Bags for example have coloured handles and gussets, while our Dargate Jute Tote Bags have the entire body of the bag available in a choice of colours. 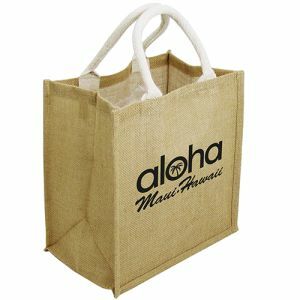 Or for something a little bit different, our Premium Shopping Bags are the best of both worlds. 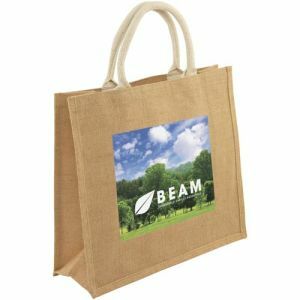 Manufactured from hardwearing jute and canvas material to offer a smoother printing surface with all the strength and durability of a standard jute bag. 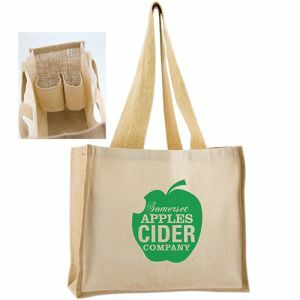 If you’re working to a tight deadline, then our Taunton Jute Shopper Bags can be dispatched in as little as 72 hours! 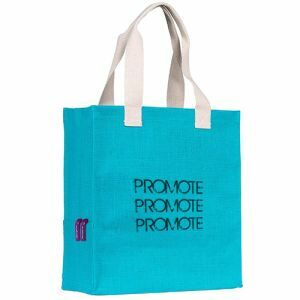 Ideal for those last-minute promotions, if another supplier has let you down or for one of those events or exhibitions that’s snuck up on you. 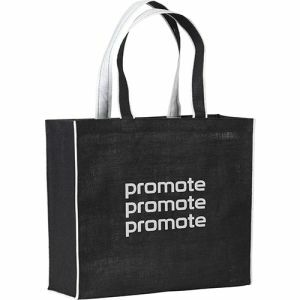 Ideal branded giveaways for use as shopping bags, gift bags, exhibition bags, beach bags, handbags, nappy bags, book bags and more. 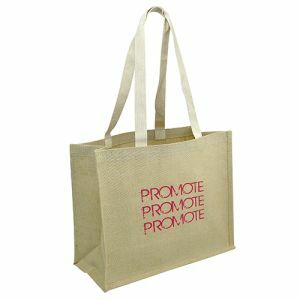 All of our promotional jute bags have large branding areas to draw attention to your printed logo on the move. 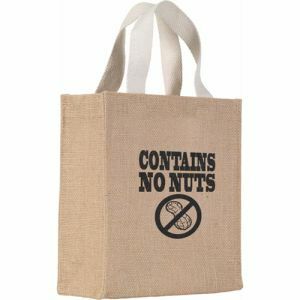 Their practicality and reusability will keep your company name around for longer, and in style, without breaking your budget.